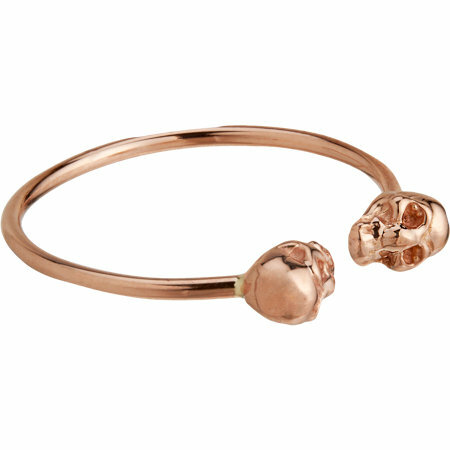 Loren Stewart rose-gold baby skull ring, $275 at Barneys. 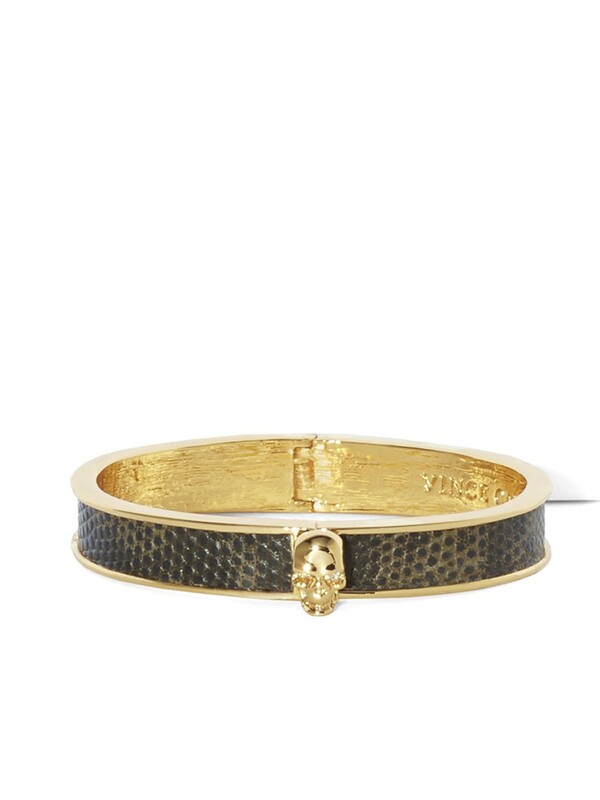 Vince Camuto snake-print leather bangle with skull accent, $48 at Shoebox. 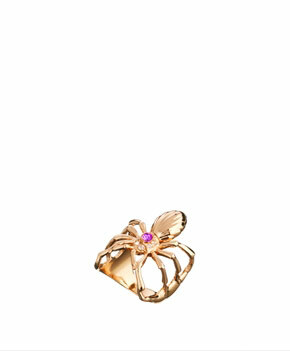 Bill Skinner for Asos spider ring, $115.69 at Asos. 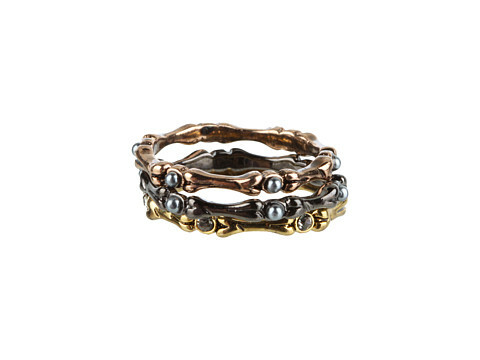 House of Harlow 1960 bone stack three-ring set, $44.99 at 6PM.com. 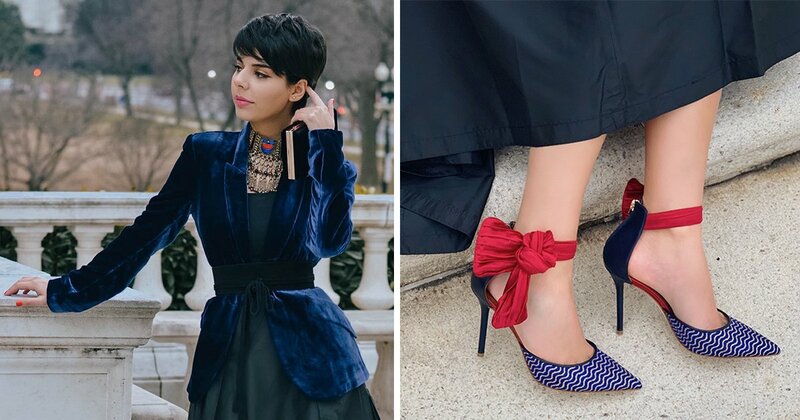 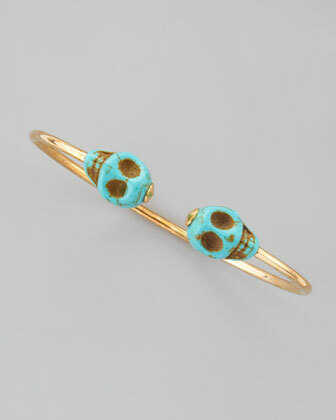 Jules Smith See You at the Souk turquoise skull cuff, $49 at Neiman Marcus. 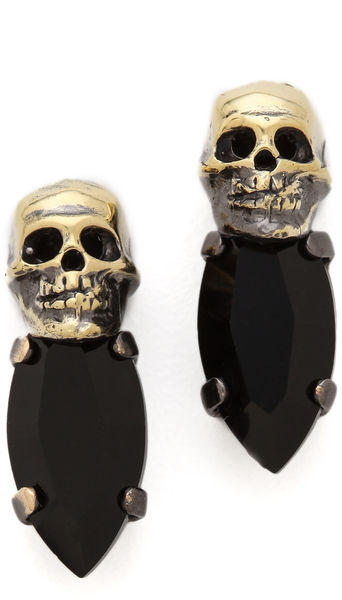 Iosselliani fused-stone stud earrings, $136 at Shopbop. 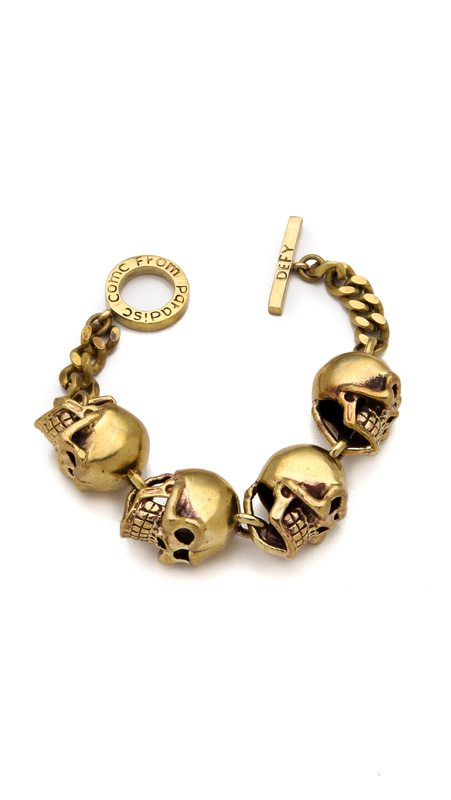 Monserat De Lucca antiqued-brass skull bracelet, $150 at Shopbop. 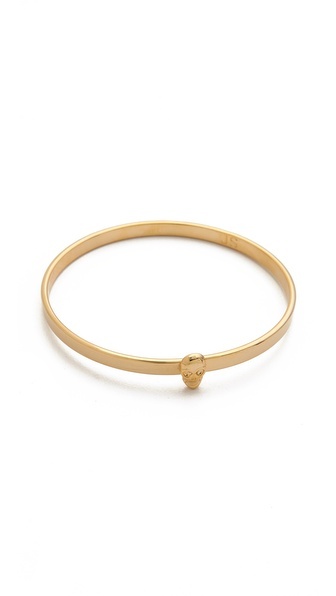 Jules Smith slim gold bangle, $39.20 at Shopbop. 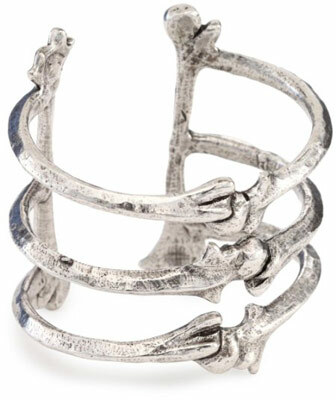 Low Luv by Erin Wasson bone cuff, $92.40 at Amazon.com. 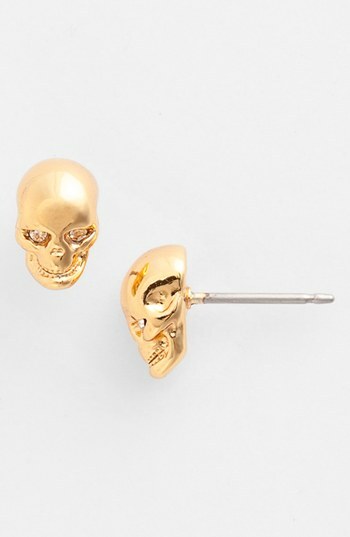 Vince Camuto Tour of Duty skull studs, $20 at Nordstrom. 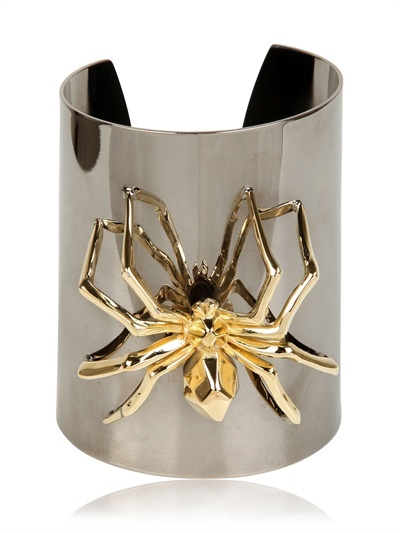 Marmen spider cuff, $663 at Luisa Via Roma. 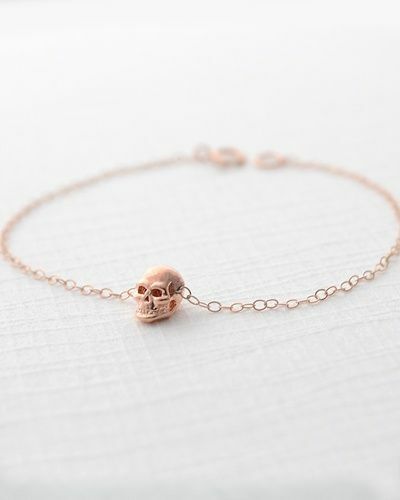 Olive Yew for JewelMint Collective rose gold skull chain bracelet, $94.50 at Jewelmint. 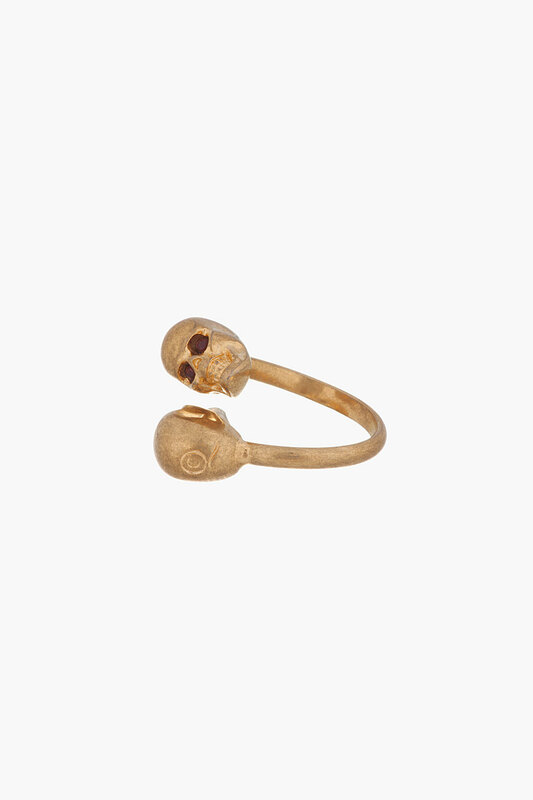 Bing Bang eternity skull ring, $68 at Max & Chloe. 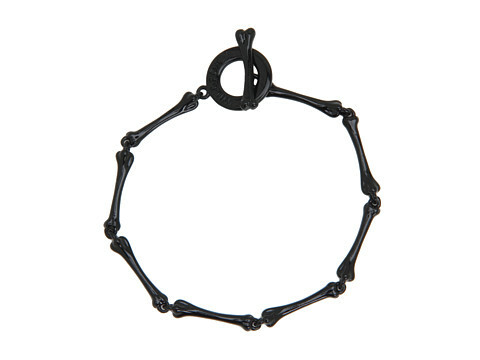 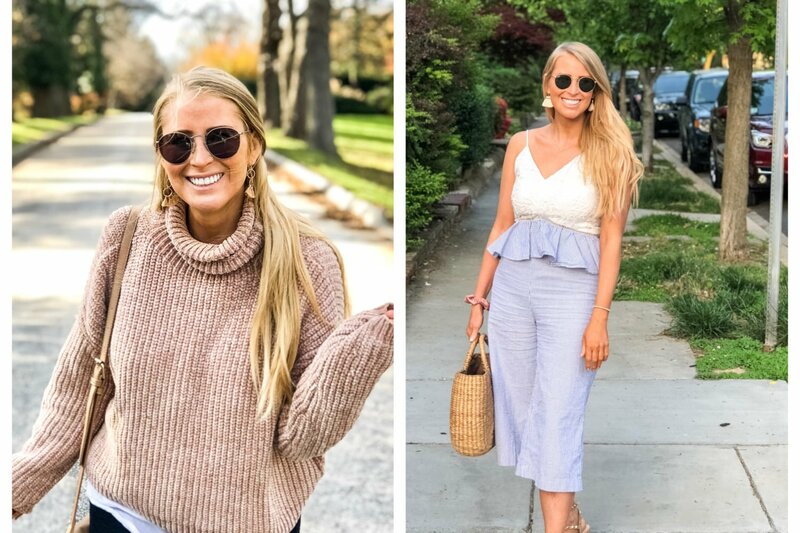 Wildfox bones bracelet, $31.99 at 6PM.com. 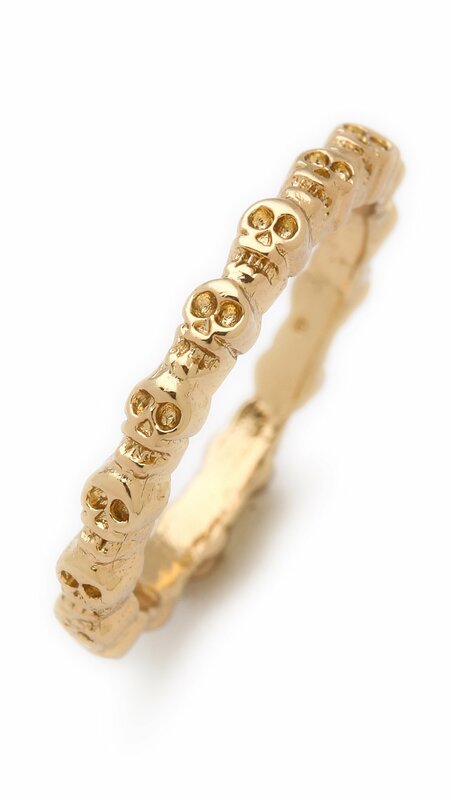 Alexander Wang old gold twin skull ring, $195 at SSense.